Attendance has be very low for the last several months, so we're on break for the summer. Possibly someone else would like to lead the group or change the theme from Irish fiddle to Learning by Ear or something else. Contact Bob Berch for more information. Given the Kevin Burke concert tomorrow, we had some discussion of of his online Irish bowing mini-lesson (here). Bob taught Kevin Burke versions of The Mountain Road (reel), The Rolling Waves (jig), and Caisleán An Óir (hornpipe). Guest leader Joe Sconfitto, leader of the 1st and 3rd Thursday session at the Pieters Family Life Center Cafe. Thanks Joe! 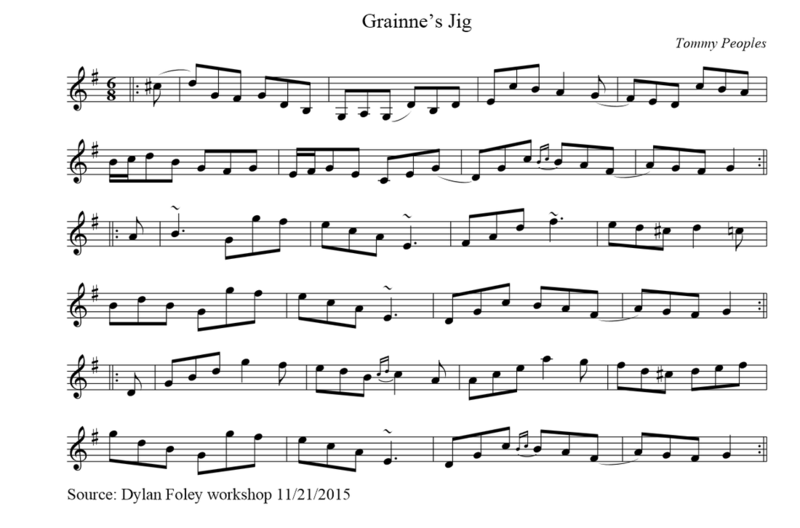 irishtune.info has some great lists of the most popular session tunes and it looks like some nice sets can be made by grouping adjacent reels/jigs, etc. Dylan, 2014 All Ireland Fiddle Champion, treated us to a 2 hour workshop at Scott and Jean's house. 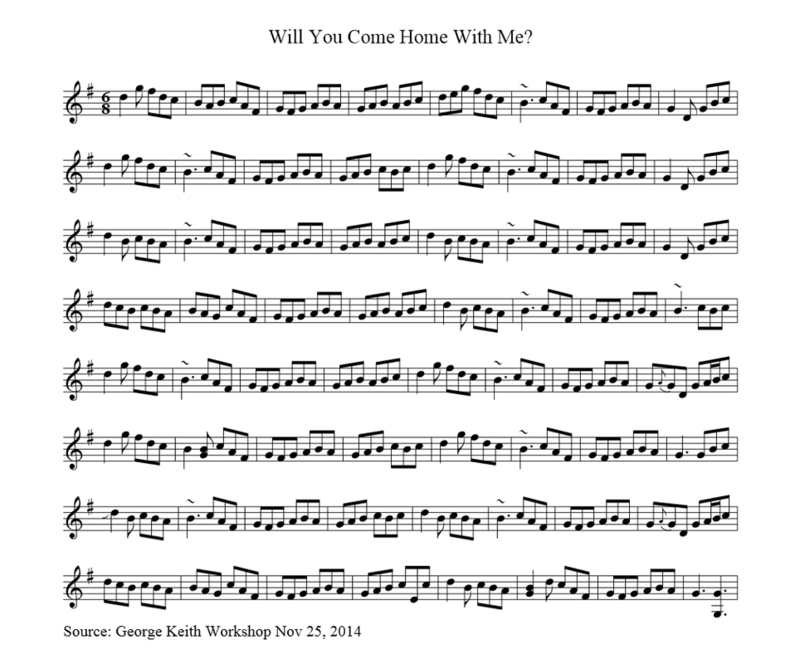 Here's the tune he taught, transcribed from a recording made at the workshop. Contact me if you'd like to hear the recording. More tunes this time, with some discussion of the first tunes we every learned. Here's a transcription from Marty's CD, and he really does end on those A notes and do several other unusual things. Going around the circle, we traded versions of Cooley's Reel. http://www.joecooleytapes.org/ [on the "Joe Cooley And Miliosa Lundy" tape]. We also listened to the tune as played by Noel Hill and Tony Linnane [Tara Records, 2006 & 1979], and as played by Frankie Gavin and Paul Brock "Tribute to Joe Cooley", [Gael Linn 2009]. Some of the listening was done with the Amazing Slow Downer program on Bob's laptop and others demonstrated the slow downers on their mobile devices. Those tunes lead to others, I didn't record, maybe someone can fill in the gap. We ended up the session playing a nice slow slip jig, The Snowy Path. Bob started things off by playing the jig My Darling Asleep, trying to emphasize the lilts in it. A few people needed to learn it, so we went over it phrase by phrase.